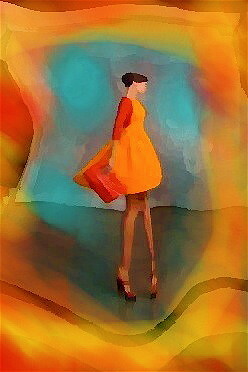 Talent on Blue- iPhone Art by David Scott Leibowitz, originally uploaded by David Leibowitz. Rubbish in the park, originally uploaded by Rowan Tedge. I am always amazed by the different styles people produce through fingerpainting. More goodness to find. The Revillug, originally uploaded by Benjamin Rabe. Sometimes using filters (this one being the oilpainting-filter from PhotoForge) yields interesting structures. Why this one turned into a guliverish face, don’t ask me.